Here is an odd and random selection of photos that I’ve taken over the past couple of weeks. 1. Reflected trees in my pool. 2. & 3. Tree fungi. The tree reflection in the pool is awesome. If I did not know better, I’d think you faked it! 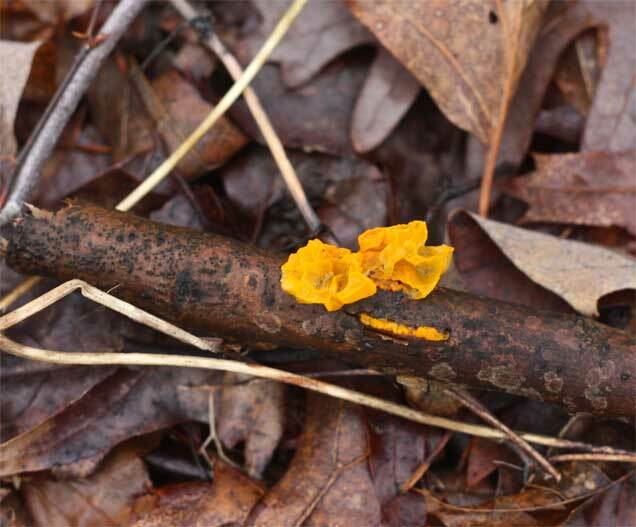 The first fungus is so vivid in color. Today we have nothing but white! wow…those were all very good. 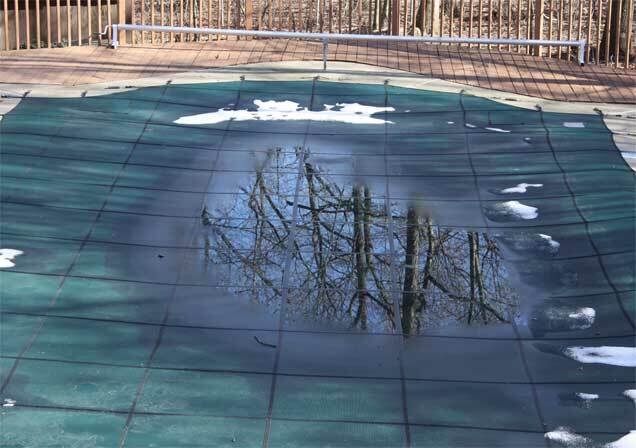 I agree with Rick…the tree reflection in the pool is so great its unreal. Are you sure you didn’t use Photo Shop??? Seriously, great job. Nice afternoon in the old Fort City…right now anyway. Not so nice last night and this morning. What a storm. Very pretty though, and the Kids were thrilled - a snow day! 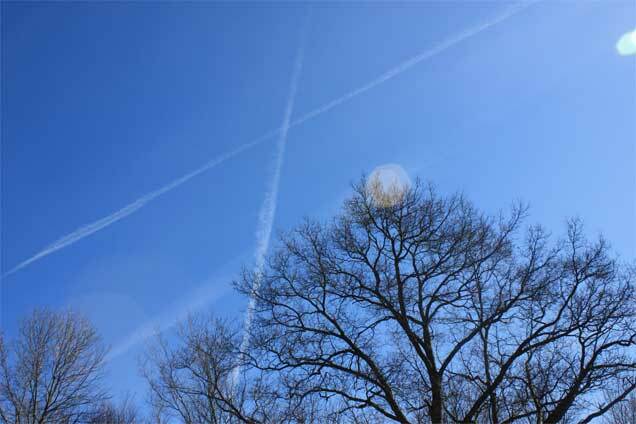 Love the reflection and X marks the spot, nice job! Hi all, the reflection was just there waiting to be photographed! I promise! 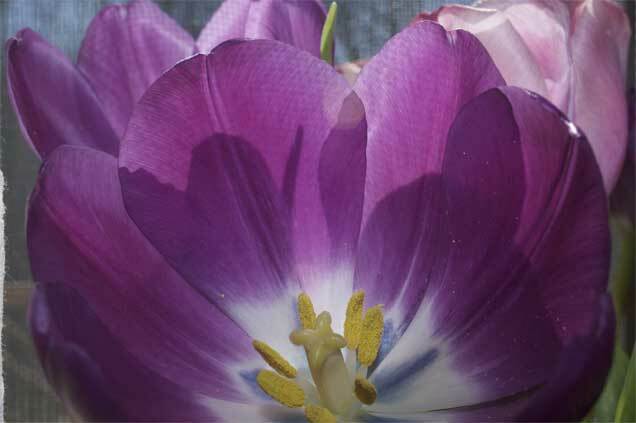 As husband Rick so put it tonight “you don’t know enough about Photoshop to have fixed that photo!” Thanks, dear. I think. No really, melting snow and the right time to capture it was all it took. Very cool photos! 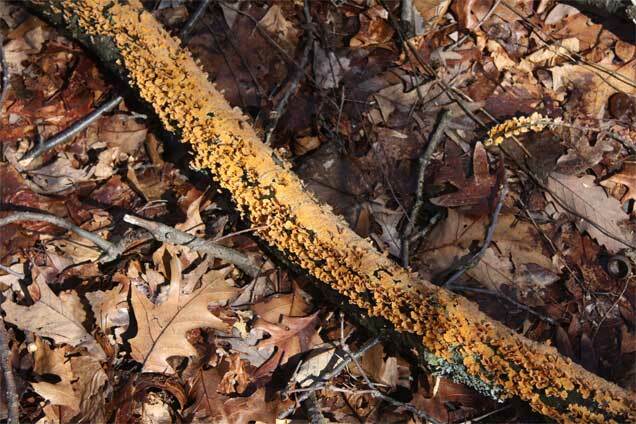 The fungi is like of icky but interesting!